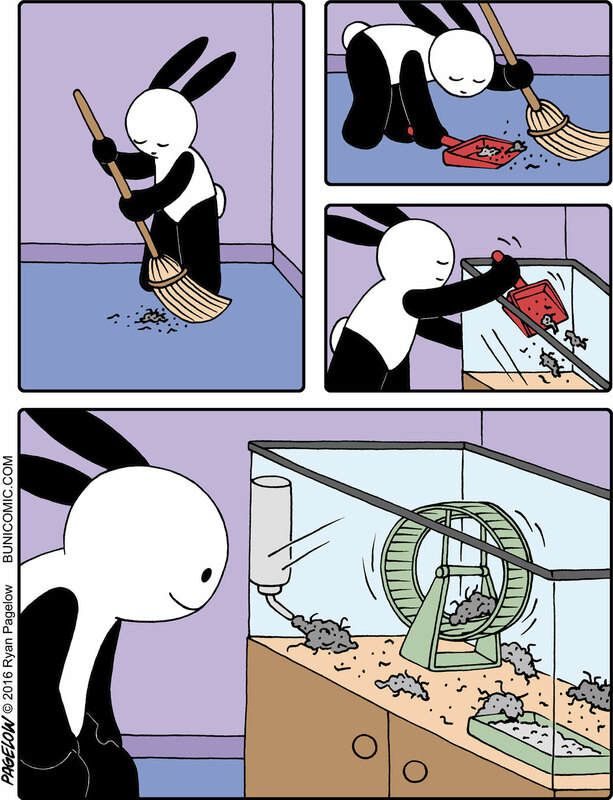 I can imagine that the next Buni comic will be of him getting beaten by the civilization these dust bunnies have created. And then they start eating each other, after midnight, and become giant dust devils that terrorize the neighborhood. Until the mob bears do a drive-by. 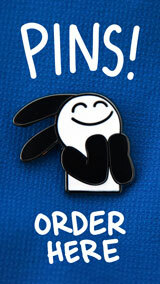 Buni has kept a lot of pets over the years. I can’t help but wonder….what do you feed a dust bunny? Hmm. Well, dust bunnies are found under beds, where monsters are supposed to live. Yet, when I find dust bunnies under the bed, there are never any monsters under the bed. Clearly, dust bunnies eat monsters. so, do they eat rotten carrots or…?